Andy Jans-Brown is a prolific multi-disciplined artist, who works through the mediums of film, music, theatre and art. 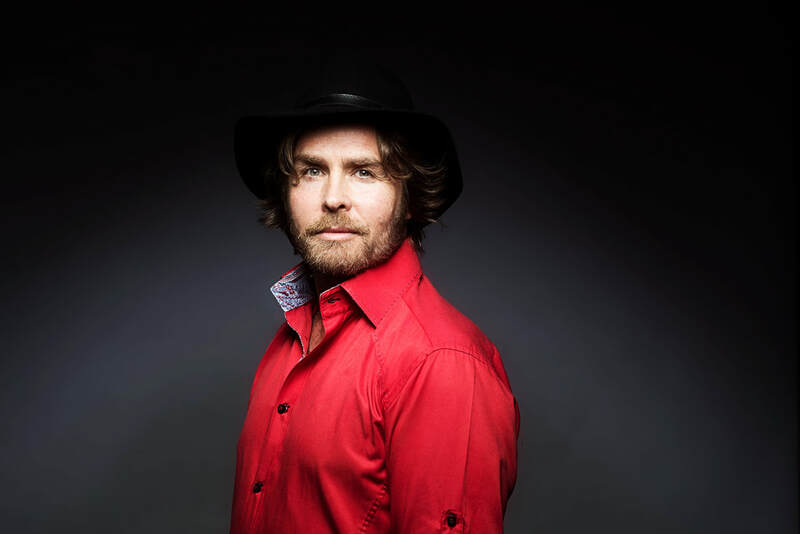 As a singer songwriter Andy has toured extensively both in Australia and abroad. He has opened the show for Nick Cave and the bad seeds fronting his then Sydney band 'Iris'. He has had his songs played on national radio triple j, and had his film clips broadcast on RAGE. Whilst leading his band Andy Jans-Brown & Cozmic, he has produced 2 critically acclaimed double albums - 'Letting Go' (2012) and 'Sunshine Avenue' (2014) and has just completed a new double album and feature film 'Hell is Light' for release 3rd of November 2018 at New Farm Cinemas in Brisbane. Andy Jans-Brown & Cozmic have played the Caloundra Music Festival QLD, the Indie Entertainment Summit in North Hollywood, California, USA and the Wildwood Festival in Port Macquarie, NSW and are set to play The Byron Bay Guitar Festival in October 2018. Other notable supports include Portugal The Man, ME, The Preatures and Stonefield. As an actor Andy has come a long way since first studying Acting at NIDA in 1990-91, with credits in stage, theatre in education, film and TV. He has played main cast roles in ‘Summer’s Day’, directed by BAFTA award winning director Hattie Dalton for ABC ME, and ‘Innuendo’ feature film directed by Saara Lamberg. Whilst working as a community artists Andy has shared his knowledge of music, theatre and art to help rebuild a sense of hope within the community that survived the tragic Victorian bushfires. This was achieved working in partnership with the Royal Children's Hospital Melbourne and Berry Street. Andy has also worked through Awesome Arts WA engaging outback remote communities. As a playwright he has collaborated with Full On Theatre to write 'Escape from Worryville' and 'Hard Rubbish Day'; 2 musical Theatre in Education plays. Andy is a published poet and is committed to the process of expressing the voice and the heart of our times. Andy's current projects include a musical feature film , ‘Hell is Light' (love and ice) currently in post-production, and a fundraising project to build a secondary school for indigenous kids at Lilla, in the Watarrka Region near Kings Canyon, NT. “Andy is the real deal. There is none of that The Voice hype. Rarely does an album ever drop on my desk from a complete unknown and knock me out. You must hear it." - Paul Cashmere, Noise 11 Magazine Melbourne.